Full color nametags. Printed white, silver or gold aluminum. 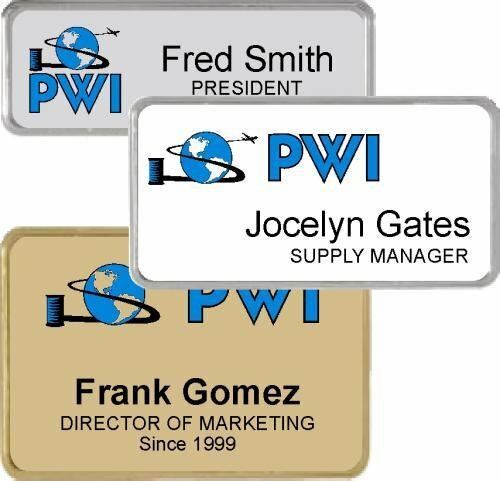 We can layout the nametag for you to fit the badge you have chosen; or you can describe your desired layout in "Special Instructions" or upload it at checkout. 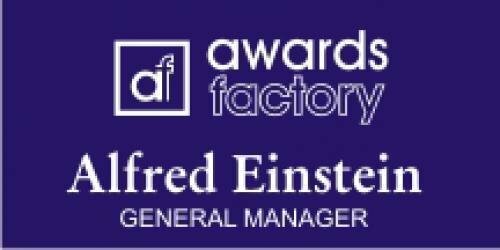 Up to 6 words and one logo included. Full color nametags. Printed white, silver or gold aluminum inserted into a plastic frame for a classic look. We can layout the nametag for you to fit the badge you have chosen; or you can describe your desired layout in "Special Instructions" or upload it at checkout. Engraved plastic name badges with slightly beveled edges. Layouts shown are samples only. We will take your information and lay it out so it fits best on the size you have chosen.